If you unplugged from the news early in the weekend, you may still believe Donald Trump is about to be impeached and that a hateful group of MAGA hat wearing teens are set to be banished from their private Catholic school for bullying, intimidating and hurling racist smears at a peaceful Native American protester. You’d be completely wrong, however, as the credibility of the Buzzfeed bombshell report on Trump is withering and complete footage of the MAGA hat teens incident appears to vindicate the teens and contradict virtually everything the media initially reported, sending verified Twitter users into a rush to delete vicious tweets that did everything from comparing the teens to a modern day Hitler youth to saying they wanted to punch the kids in the face. This astonishing lack of basic journalistic integrity and rigor, unfortunately, tells a tale of our flawed media landscape in this frenzied age. That is, digital journalism, combined with the endless whine of social media soundbites, has created an untamed cascade of thought, accusation, faux-outrage and misinformation. There’s plenty of blame to go around for the spread of fake news – both with those reporting it and with those sharing and spreading it. If we want to ensure our future collective sanity we must adopt and apply new standards before reporting and sharing articles out into the world via social media. In other words — here’s how not to be “fake news” in a time when more and more of it continues to spread. The blessing and the curse of the digital age is the plethora of information we have at our fingertips. It’s a blessing because, obviously, we are privy to lots of information and information is generally a good thing to have. However, it’s that very same thing that causes a problem — with so many sources mean there’s intense competition for clicks. The news cycle spins at an unfathomable pace, and journalists are feeling the pressure to publish summaries at an ever-increasing speed in order to achieve the reach required to bolster their outlet’s analytics. The problem is, the resultant cutting of corners is becoming increasingly commonplace, and this is will always result in the spreading of inaccurate information. Just like the case we saw over the weekend with the Covington Catholic High School coverage. 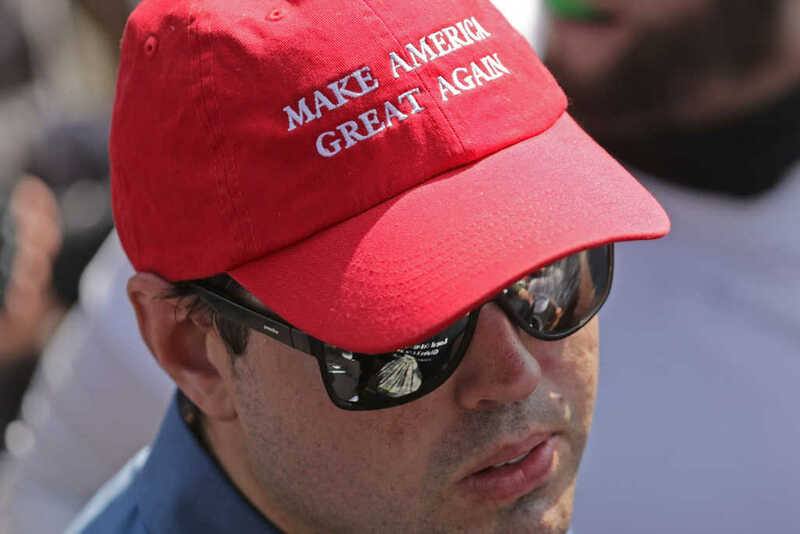 What started out with a tweet of a video from an unverified user, quickly ballooned into the latest opportunity to slam someone wearing a MAGA hat — and clearly no one wanted to miss out. The story was mega-viral almost instantly. As we now know, the story was taken wildly out of context. Everyone has presuppositions. That is, we all hold beliefs on some level or another, and we tend to see the world through those beliefs. If we are are not honest with ourselves about what those presuppositions are, we become vulnerable to accepting less than quality information and running with it because we are oblivious to our blind spots. That goes for the journalist but also you, the consumer, as well. All too often, people are quick to share a story because the headline echoes what we already believe, rather than checking to make sure the source reporting it — major or not — actually has a solid backing to their headline claim. If we’re all being honest, we’ve each done this at one time or another. We become married to our belief and put that ahead of the actual information at hand — and this is very problematic. A society unwilling to bend to reality because it doesn’t mesh with our presuppositions is going to become increasingly problematic, for reasons that should be self-evident. The third is mostly on you, the consumer. With imperfect people, well-intentioned or not, under such intense pressure and deadlines it is critical now more than ever for us to be vigilant in what we accept from our news. If we are willing to click and share unverified stories, click-bait headlines, garbage reporting and other various sub-standard posts circulating on the internet, we deserve what we get. Don’t Trust, Always Verify, Beware of Spin. Buzzfeed would’ve been wise to put the shoe on the other foot before going forward with sources they claimed to trust, and wait to report the story until they were able to view the actual evidence for themselves rather than take the source’s word for it. Old school journalism used to be about checking the source and making sure it’s reputable — now we must take it a step further. No longer can we trust what formerly trustworthy outlets are reporting — we must go to the source material itself and make our own determinations. Thankfully, because of the internet, that information is often attainable and easy to find. I saw many people violate all of the above complaints during the course of this weekend when it came to Covington Catholic. Immediately posting stories making sweeping generalizations about motive and what actually happened, even though the only thing clear from the video was that we didn’t know exactly what was going on. It was the pinnacle example of everything wrong with news and social media. People saw what they wanted to see. You either saw a hateful group of Trump supporters, the natural consequence of Trump’s perceived racism and arrogance. Or, you saw a kid standing his ground in the midst of an awkward situation. Both answers in the immediate aftermath were wrong. The correct answer was: we need more information. No major media outlet responded in this way. Instead, they were quick to be first, quick to play into presuppositions about the world, and unconcerned about the blatant lack of information found in initial reports. We really are living in an age of media mayhem. There is no doubt that, once the furor of the latest journalistic mess-up dies down, a sense of urgency will be renewed to cover the day’s most pressing subjects with energy and pace. These shock-horror moments should cause us to pause and re-assess what we are doing and why we are doing it. So many journalists are motivated solely by the prospective nod of approval they’ll receive from their particular mob. Others continue to sacrifice any ethical obligation to report with accuracy at the altar of political expediency. We could all do with a bit more contemplation, a few more minutes research and a whole lot more thoughtfulness regarding the sources we are citing and the angles we are taking. Indeed, as Christians, we must re-center ourselves on the central tenets of our faith in Jesus and know that our calling must elevate higher than the perpetual noise of posts, tweets and newsflash notifications. This latest scandal should serve as a warning to fellow journalists: slow down, pursue integrity and “ruthlessly eliminate hurry from your life,” or you might just find yourselves making the same grave errors we’ve seen wreaking havoc on our news cycle in recent days. Follow these rules before reporting — or before sharing a report on social media — and we’ll all be better off for it.